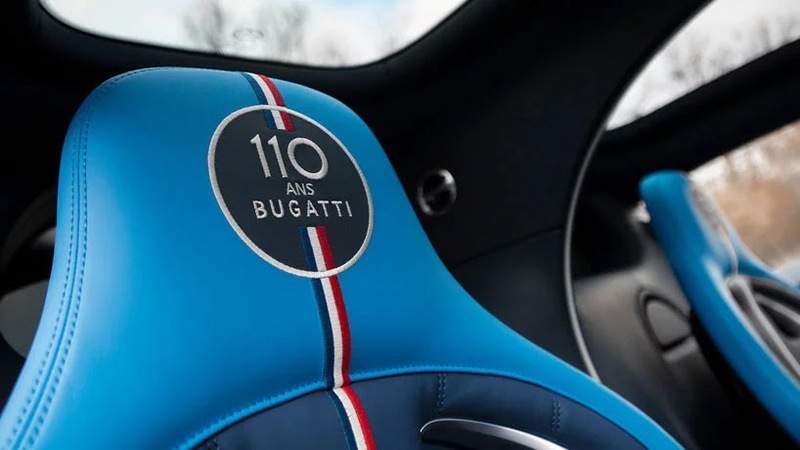 Bugatti Celebrated the 110 years of Bugatti brand with a special edition - AutoReportNG "AutoReportNG-The No 1 Car Blog In Nigeria That You Can Trust - AutoReportNG"
The new Chiron sport ‘110 ans Bugatti‘ bears one of the most famous symbols of a proud nation – the tricolor ‘le bleu-blanc-rouge’. 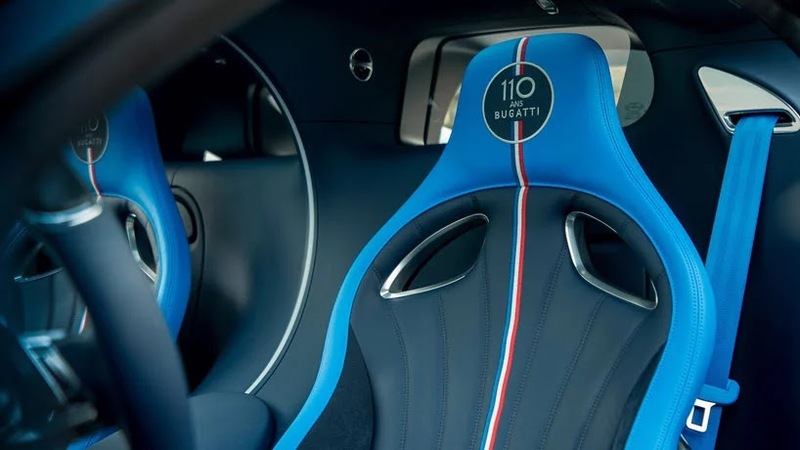 Blue, white and red, decorate the body and interiors of the French car manufacturer’s latest model, representative of a flag which today, symbolizes the French revolution with its famous ideals of liberty (blue), equality (white) and fraternity (red). 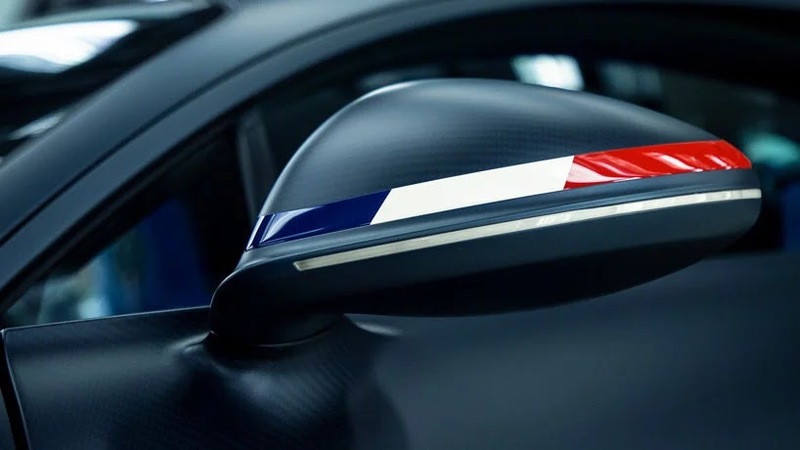 At several points, Bugatti features the French tricolor to narrate the country’s pride and history. 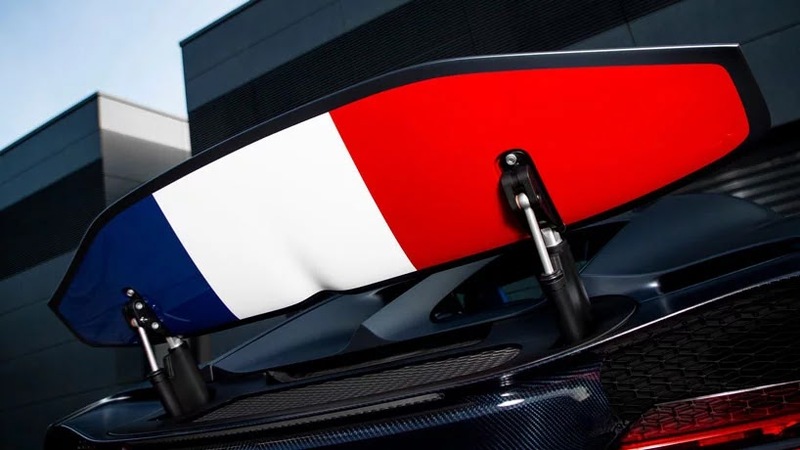 For example, on the right-hand side of the vehicle, the colors of the French flag are shown as a mirror image. This follows the standard of official vehicles in the country, where the color of liberty (blue) is brought to the fore on both sides. behind the alloy wheels painted in ‘nocturne,” Matt black, bright blue (French racing blue) brake calipers are visible. 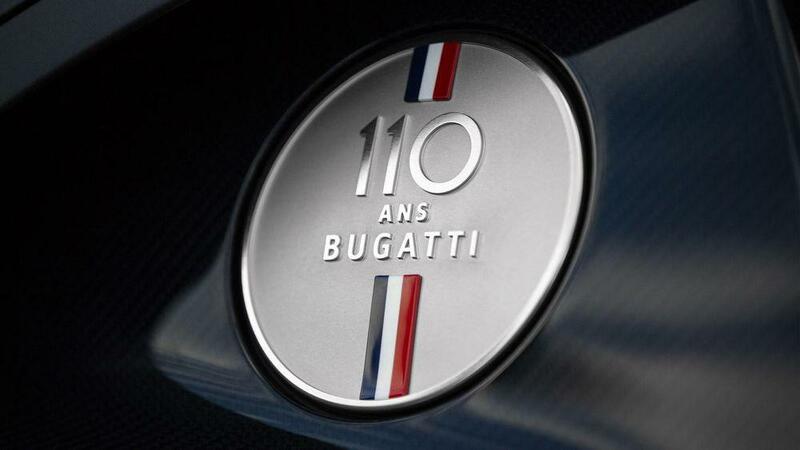 To obtain an immaculate finish, the aluminum filler cap is sandblasted and hand-polished, displaying the ‘110 ans Bugatti’ emblem with the French flag running vertically throughout. 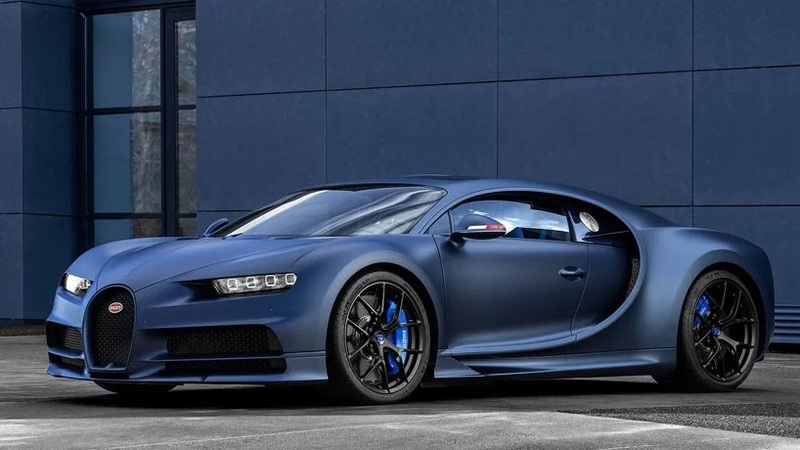 As you can deduce from its name, this limited edition of the Chiron celebrates Bugatti's 110th anniversary. 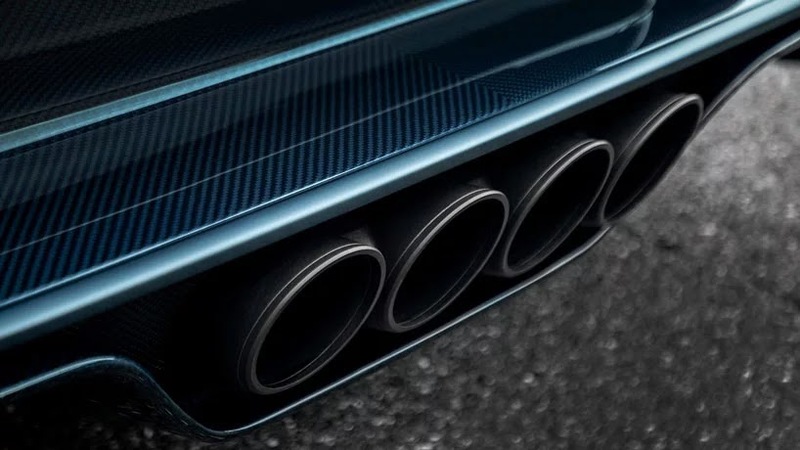 the body and the front end are made from carbon fibre and the Bugatti line and the typical Bugatti radiator from aluminum. 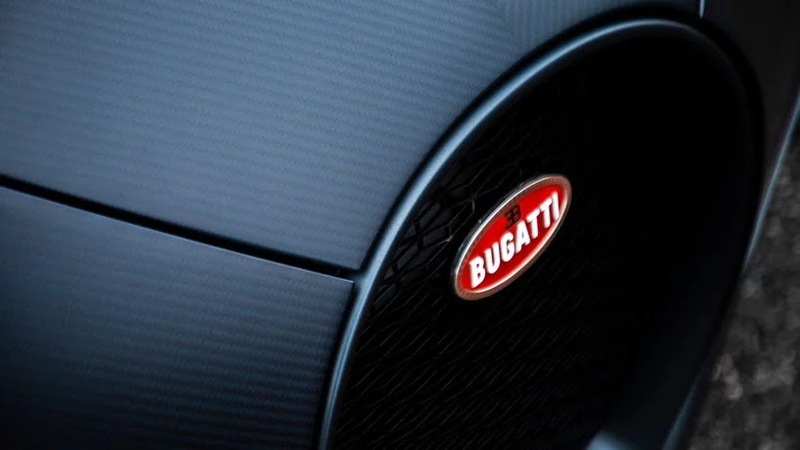 Carbon fibre is also be found on the nacelle, steering wheel, steering column and seat trims. 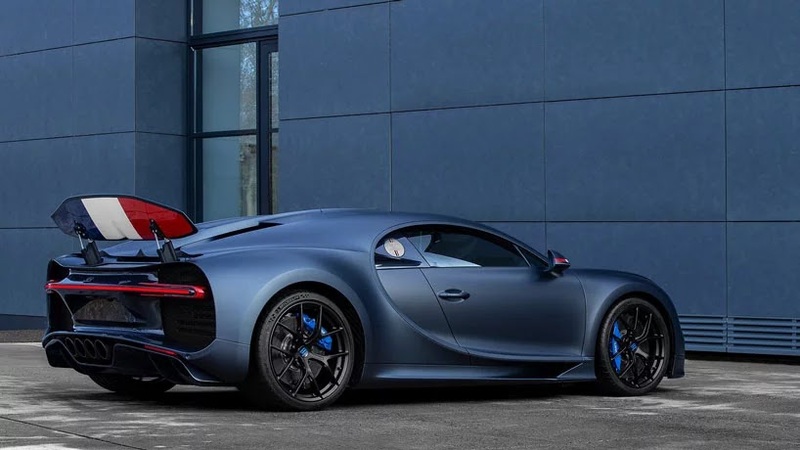 A matt steel blue paintwork covers the rear of the car with a sheen like hot-rolled steel. 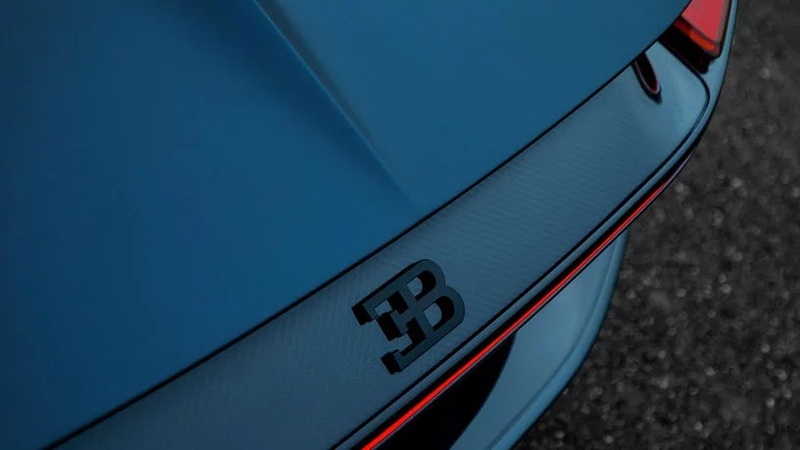 this colour continues to the typical Bugatti line, the dominant ‘C’ surrounding the passenger compartment, is also painted steel blue.